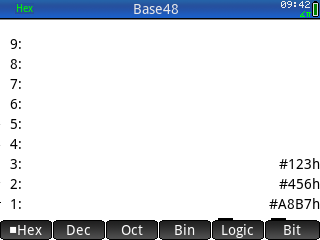 Implements base functions in an RPL mode inspired by the 48GX. Includes an environment with a stack, softkeys and similar function set. Inserts symbolics in the Sequence App to produce the sequence of numbers having right-most digit composite. This is A262389. 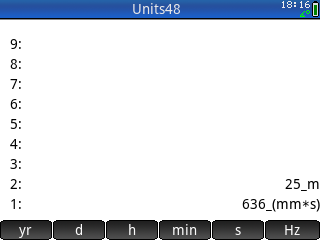 Allows you to do unit conversions in a manner similar to the 48.